Gianfranco Bedin (born 24 July 1945) is a former Italian footballer who played for Internazionale as a defensive midfielder; a ball-winner, he was known for his anticipation, stamina, work-rate, man-marking, and his ability to read the game, defensively supporting his more creative and offensive team-mates. He was part of their European Cup victory in 1965. He also earned 6 caps for the Italy national football team between 1966–1972. 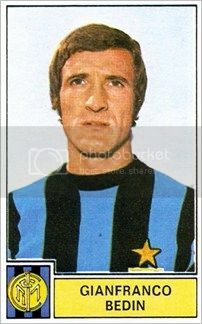 Born in San Donà di Piave, Bedin is mostly remembered for the club football he played whilst at Internazionale from 1964 to 1974, as a member of Helenio Herrera's highly successful "Grande Inter" squad. He appeared in 211 Serie A matches with the Milanese club, winning three Serie A titles, the European Cup, and two Intercontinental Cups, also reaching the Coppa Italia final, as well as another European Cup final. He would later also play for U.C. 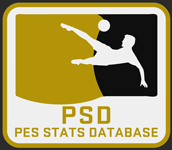 Sampdoria (1974–78), A.S. Varese 1910 (1978–79), A.S. Livorno Calcio (1979–80), and San Frediano Rondinella S.S. (1980–81), before retiring in 1981. Bedin also represented Italy national football team at international level, making 6 appearances for the national side between 1966 and 1972, although, despite his success at club level with Inter, he never represented Italy at a major international tournament.